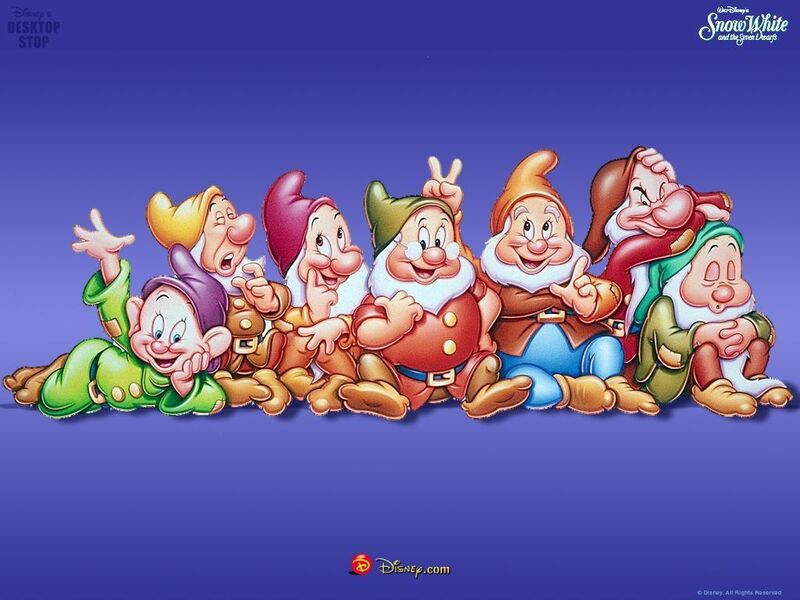 Though a lot of us think that we know a lot about astronomy and its wicked step-mother cosmology, what most of us are not very aware of are the adorable seven dwarfs and how, given the challenge, they can be related to their Disney counterparts. 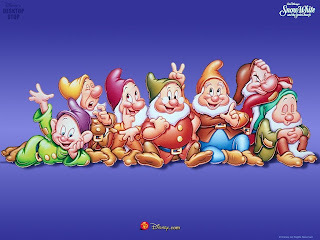 Let’s start with the youngest of the dwarfs, kindly named DOPEY. Dopey was the sweetest and silliest of all the seven dwarfs and with this I give you the first of the astronomical dwarfs, the DWARF PLANET. Like Dopey the Dwarf Planet is the youngest of the dwarfs having been first classified in 2006 by the IAU to describe objects in the outer solar system that are planetary in nature but are unable to clear their neighbourhood around their orbit (see What is a planet anyway? for an explanation of this). There are five dwarf planets in our solar system; Ceres (in the asteroid belt), Pluto, Haumia, Makemake. Eris (the largest of the Dwarf Planets). The definition of Dwarf Planet is currently only subject to our solar system, but who knows when we make the voyage to other solar systems these guys might find they have some cousins in the outer reaches of alien systems. SLEEPY was the most sleepy of all the dwarfs (I should think so too otherwise he was not named very well) having a forever sleepy look on his face and half closed eyes as if he spent his life sleepwalking. For this I give you BROWN DWARF the sleepy sub-stellar objects that never quite managed to wake up and become a star. 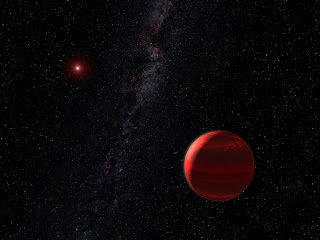 Brown Dwarf’s span the mass range between a planet and a star, where their chemistry separates them from the giant planets and their inability to fuse Helium separates them from the stars. Saying this makes it sound pretty clear cut, however, the upper and lower limits are still slightly fuzzy. Brown Dwarfs are roughly the same size as Jupiter with masses between 10 – 80 Jupiter masses crammed into that space meaning that it is hard to distinguish them from giant planets unless their masses can be accurately calculated. Generally if it has a mass greater than 13 Jupiter masses and the spectrum contains lithium line (an indicator of no helium fusing) then it is classified as a Brown Dwarf. If we continue on the trend with increasing mass we reach the next dwarf the RED DWARF who wins its comparison with HAPPY the most rotund and cheerful of all the dwarfs. Now Red Dwarfs are not the most rotund object on our list they are given their comparison for their rosy red color and the fact that they are by far the most abundant stars in the galaxy, certainly in the local solar neighbourhood, and so have many friends surrounding them perhaps making them slightly cheerier than the other dwarfs. They also happen to have the same name as a popular 80’s British sci-fi comedy TV series, so if not consoled by the normalcy of their existence perhaps a little comedy can lend itself to the happy nature of their name. Red Dwarfs are the smallest of the main sequence stars occupying the K or M spectral types; due to their low mass and consequently low temperatures they have an estimated lifetime longer than the age of the Universe (13.7 billion years). Many red dwarf stars have been found to have planets orbiting them. Due to their small radius it is much easier to detect smaller planets orbiting and perhaps the first truly Earth sized planet will be found orbiting a Red Dwarf star. Now for the next one I may be reaching a bit to come up with a comparison but bear with me as we move on to SNEEZY the hay-fever prone dwarf constantly holding his finger under his nose to stream the sneezes that are sure to come. And so with an ode to the finger under the nose we have the SUB-DWARFS the finger under the nose of the main sequence. 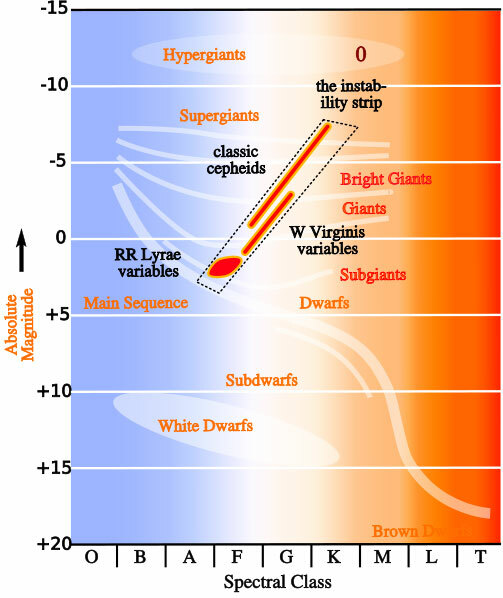 Despite occupying the same space under the main sequence in the Hurtzsprung-Russel diagram, roughly 1.5-2 magnitudes lower than the main sequence, the Sub-dwarfs can be spilt into two distinct categories, cold Sub-dwarfs and Hot Sub-dwarfs. Cold sub-dwarfs, M to G spectral type, are low metalicity stars (lacking elements heavier than helium); that due to their lower opacity and radiation pressure emit a larger portion of UV radiation compared to their main sequence counterparts. Hot sub-dwarfs in the other hand represent the late stage in the evolution of some stars produced when a Red Giant blows off its outer hydrogen layers and before the core starts to fuse its heavier elements. Hot sub-dwarfs represent the principle link between red giants and our next dwarf the White Dwarf. A WHITE DWARF is a small star composed mostly of electron-degenerate matter and are very dense earning them their comparison to the most ill-tempered of the dwarfs GRUMPY. A white dwarf are roughly the same mass as the Sun, however, this mass is compressed into a volume a million times smaller, roughly the size of the Earth. This means that if you were to stand on the surface of a white dwarf, well you couldn’t, you would be squashed so small that your atoms would merely add a small selection of metals to the stars composition. Over 97% of the stars in our galaxy will end their lives as a white dwarf usually composed of Carbon and Oxygen. If the star from whence it came was between 8-10.5 solar masses its carbon will be fused on the surface but it will not be able to fuse Neon making it a Neon-Oxygen-Magnesium white dwarf. There is a limit however; this is called the Chandraskhar limit and is around 1.4 solar masses where if reached it will explode as a type 1A supernova. White Dwarfs are very dim as their only light is generated by the thermal pressure of the compressed material; this steadily reduces over the lifetime of the white dwarf and at some point will theoretically become zero. It is here that we find the most elusive of all the dwarfs, BASHFUL, and its astronomical counterpart the BLACK DWARF. Black dwarfs are not only entirely theoretical, but if they were not, they would still be hard to find as per their definition they emit no radiation what so ever. Over time a white dwarf which, no longer generates radiation through fusion at its core, continues to cool over time like the dying embers of a fire that long since lost its flames. The difference is the embers of the fire will lose its heat fairly quickly whereas the time for a white dwarf to become a black dwarf is longer than the current age of the Universe. Now to finish of our oddball family of dwarfs we are left with DOC; the self-appointed leader, the finaliser of decisions, and controller of the chaos (or so he tries to be), and his equivalent astronomical leader the DWARF GALAXY. Unlike the other astronomical dwarfs a dwarf galaxy is not a singular object but a conglomerate of a few billion stars, dwarf or otherwise, not to mention the potential number of planets and dwarf planets orbiting them. To put this into context, our galaxy, the Milky Way, consists of 200-400 billion stars and has more than 20 dwarf galaxies orbiting it. 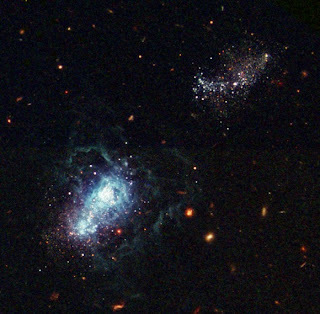 It is thought that some our local dwarf galaxies formed from tidal interactions between the Milky Way and Andromeda and are thoughtfully called tidal dwarf galaxies. Along with these there are also the general array of structurally oriented names for dwarf galaxies; elliptical, spherical, spiralled and irregular whose importance in formation is still under much debate. Though I doubt like its analogous Disney character it is able to rile up the dwarfs to chase the evil step-mother cosmology off the cliff to its death. What is a planet anyway?